This most darling of shoots from JENNA HILL is one of those ones that makes me want to leap into the screen or at least transport myself to the other side of the world and recreate � with myself in the lead starring role!! 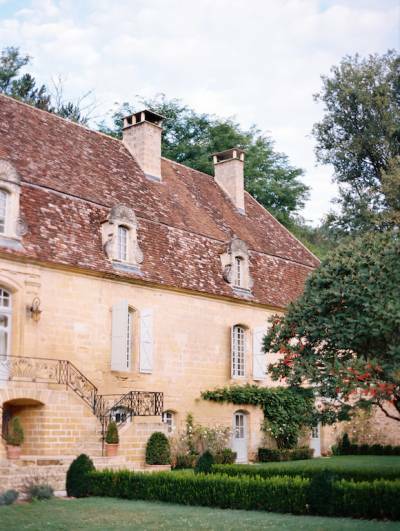 I mean really� tell me you don't want to run barefoot through the beautiful grounds of this cottage in the South of France, pick some flowers from the surrounding gardens, wander throughout all the little stone alleyways eating local produce, and then have a lazy afternoon siesta? My husband will be lucky if I haven't booked myself a ticket by the time I finish oogling these images!! 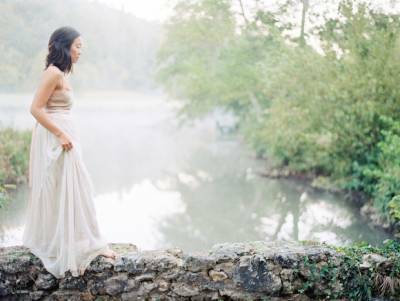 With perfectly organic styling by the one and only GINNY AU, florals by SARAH WINWARD and an incredible location at CHATEAU FORGE DU ROY the team were up at the crack of dawn to capture that special morning light and make the most of the enchanting mist. Jenna has just launched a beautiful new site today and rebranded under JENNA HILL PHOTO (previously Whitewood Studios) so be sure to go and check it out, and see more of her beautiful work� as well as that of her clever Cinematographer hubby JODY HILL CINEMA. Power duo that's for sure!! Now I'm off to dream off Chateaus in the South of France!